You can enjoy a flexible 12 month renewal! With a traditional membership, you often find memberships run annually ,for example, from April to April, with any months taken up before this time set at a pro-rata rate. PlayMoreGolf offer more flexibility than this, signing you up for a year’s membership from the day you join, no matter when that is. So, if you sign up in September, your membership will run a full 12 months until the following September. Only use the points you play with. Unlike with traditional memberships, if you don’t want to play golf during the winter months, you won’t end up paying for something you’re not using. With PlayMoreGolf you only use the points you play with, meaning you can save the bulk of your points for the warmer seasons if you prefer. Carry over your unused points. If you come to the end of your 12 month membership and haven’t used all your points yet, don’t worry! Your unused home points will be carried over into the next year’s membership, giving you more control over when you play. There’s no expensive direct debit. You can stop worrying about where your golf membership budget is going to come from each month. With PlayMoreGolf you can choose to pay a one off payment or 4 instalments in your first month. Enjoy competitive pricing. PlayMoreGolf offers the most competitive pricing structure for tee sheets at this time of year. Never worry about bad weather. Sometimes, the unpredictable British weather can get the better of us, causing flooding or similar issues at your local club and preventing you from playing. But when you’re a PlayMoreGolf member, you can simply select a club in another location and spend some points on a few rounds elsewhere! Make use of our joining offers. During the Autumn months, PlayMoreGolf offers some fantastic joining offers for new members. Keep an eye on our Facebook page for more details! You can qualify for exclusive discounts. When it’s slightly cool outside and you’ve just finished an exhilarating round of golf, what could be better than sitting in a cosy bar with your friends or colleagues and enjoying a discounted pint and warm plate of food? As a PlayMoreGolf member, you regularly qualify for member discounts at selected clubs. Autumn is a little quieter. 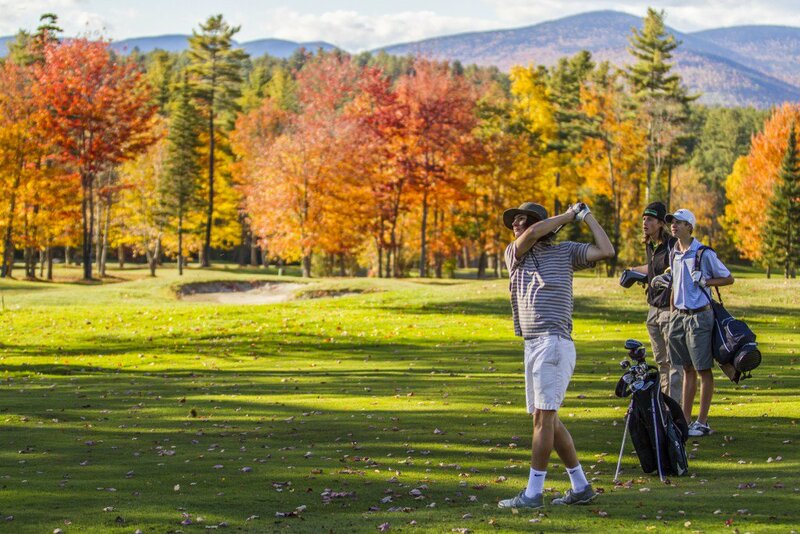 Enjoy a more spacious golf course during the Autumn months! At this time of year, golfers tend to decrease the frequency in which they play, giving you more time to practise your swing before the golfing season starts up again. You’ll have plenty of people to play with. If your regular golfing buddies prefer not to play during the cooler seasons, it doesn’t mean you have to go it alone. Thanks to our Buddy Booking system and Facebook Community Group, you can meet and play with likeminded golfers who don’t mind a bit of a chill in the air. Once you’re a member, you’ll be given access to these fantastic features from day 1 of your membership. Interested in learning more? Head over to www.playmore.golf to learn more about your membership options.